At Bauer GMC, we’ve become a globally recognized gear motor company, and have been playing an integral part in providing high-quality gear motor products to a number of different clients across Canada. A Bauer motor is manufactured with quality, and has proven to be an effective and reliable motor for a number of different applications. For years, many clients worldwide have been happily using a Bauer motor within their operations. Since 1927, for nearly an entire century, a Bauer motor has been a driving force in gear motor technology. We’ve been providing geared motor products of the highest quality, focusing on innovative and energy-efficient solutions while offering optimum reliability and exceptional customer service. The engineered solutions of a Bauer motor can be found in a wide variety of market industries such as the food and beverage, the automotive, the steel industry as well as the material handling industry. These enumerable applications are due to Bauer’s technically advanced drive solutions that feature energy-efficient geared motors. This is further paired with optimum performing gearboxes, providing users with a highly efficient and top-quality application! 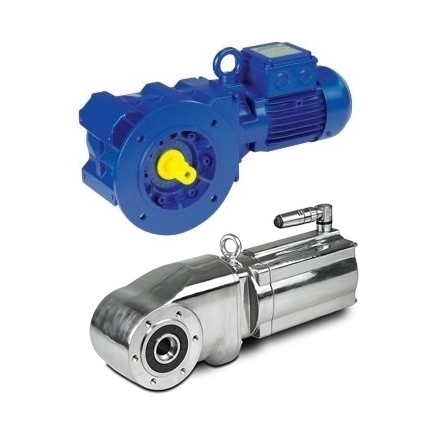 We at Bauer have a wide range of products which include hollow shaft gear motors, helical gear motors, bevel gear motors and aseptic drives, to name a few. Each Bauer motor that we have is designed for a specific application, allowing various clients from different industries to find the product right for them. Bauer GMC is the proudly Canadian division of Bauer Worldwide that has grown with assembly centers in both Ontario and British Columbia. We also have a reliable and well-established distribution network across Canada that is committed to provide local support, quick turnaround times and easy access for all of your Bauer motor-needs. So when you’re in need of our services, don’t hesitate to contact us today – we’re happy to help you out and find the best gear motor solution for you!